2. 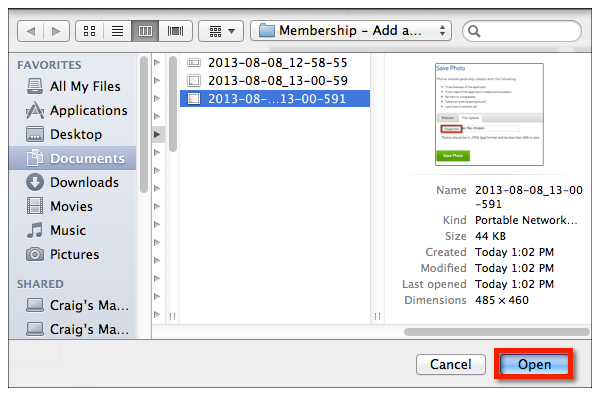 Locate the member record that you want to edit (you may find the search box, or Advanced Search options, useful for quickly locating a particular member). 3. 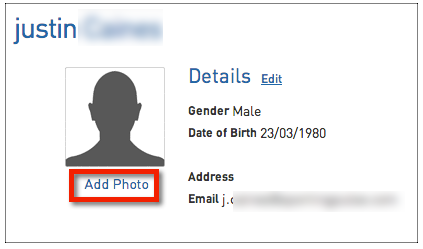 Click on the View Record button next to the name of the member you want to add a photo to. 4. The member's record will open. From the 'Dashboard', click on Add Photo. 5. SportsTG Membership will automatically detect if a webcam is connected to your computer. 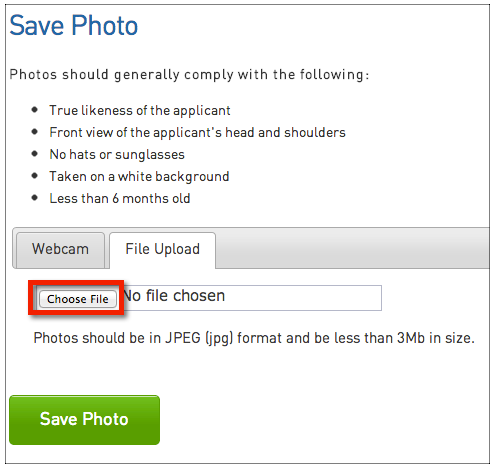 If you do not have (or do not want to use) a webcam to take a photo, click on the File Upload tab to select an existing file from your computer. 6. 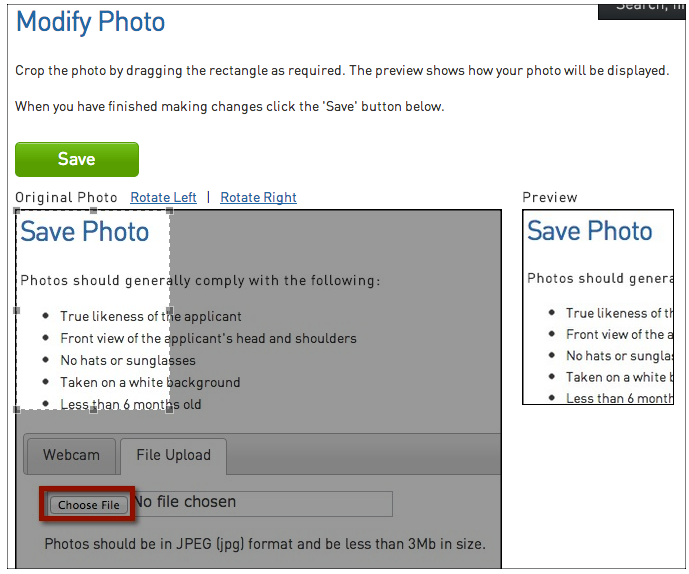 Click on Browse to open your file directory and locate the image you want to upload. The image file must be in JPEG (jpg) format and less than 3 MB in size. 7. Locate the image and click on Open. 8. Click on Save Photo. 9. 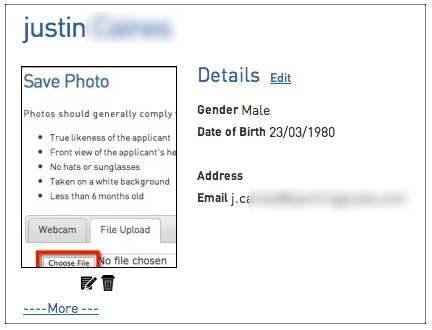 The upload status will appear while the photo is being uploaded. - Click and drag your mouse to re-position the selected area. - Use the handles around the frame to extend/ reduce the selected area. - If the image is sideways, you can use the 'Rotate Left' and 'Rotate Right' links to rotate the image until it is upright. 11.When finished, click on Save. 12. You will be returned to the member's 'Dashboard' where the profile photo will appear.